Scratch a liberal, find a bloodthirsty hatemonger. It seems that at least two “verified” liberal hatemongers on Twitter have publicly advocated the brutal murder of the Covington Catholic teenagers. On Sunday, Cristina Laila reported that Jack Morrissey, a Hollywood producer known for projects like “Beauty and the Beast” and the “Twilight Saga,” issued a tweet calling for the children to be tossed into a wood chipper. 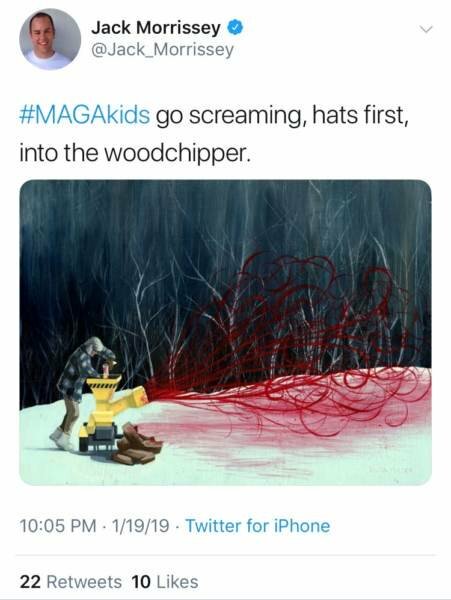 “#MAGAkids go screaming, hats first, into the woodchipper,” he wrote on Twitter. Morrissey then proved how brave he is by making his Twitter feed private. But wait, there’s more. 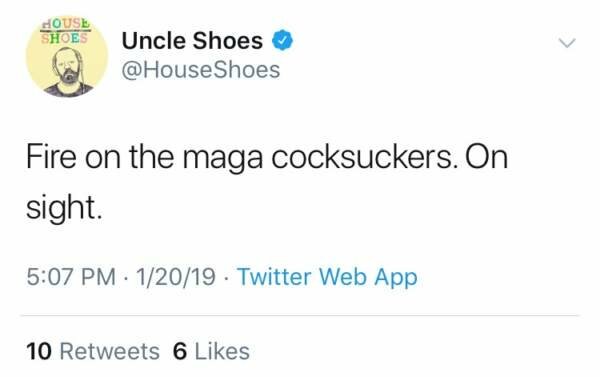 Laila also tells us that Michael Buchanan, a Detroit-born hip hop producer and DJ who lives and works in Los Angeles and goes by the stage name ‘House Shoes,’ issued a series of tweets calling for the brutal murder of the children. Got that? He’s actually advocating GUN VIOLENCE. Against children. And Twitter is apparently okay with it. Dear @TwitterSafety: this violates the Terms of Service and warrants a permanent ban. We doubt that this account will be banned, because it clearly supports the leftist cause. Violence against kids, guess that's what tough guys do. ???? Or to be more precise, “verified” liberals on Twitter. Adding insult to injury, Twitter told a number of people who reported the account that the tweets do not violate the site’s terms of service. Imagine, for just one nanosecond, what would happen if this was said by a conservative account? 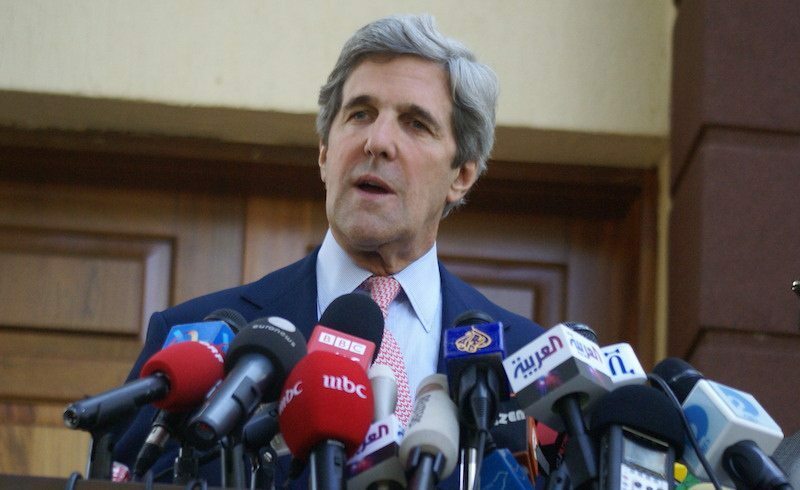 Liberalism, as I’ve stated time and again, is an ideology of insane, bloodthirsty rage and hate. Liberals, sadly, prove that assertion correct on just about any given day.